Leí un artículo de Tim Kastelle quien es profesor de Gestión de la Innovación en la Escuela de Negocios de la Universidad de Queensland. El habla de 20 cosas o hechos que los buenos gerentes saben sobre la innovación y se los comparto a continuación. Todo el mundo quiere innovar más, pero mucha gente no sabe por dónde empezar, esto es raro, ya que sabemos bastante sobre cómo funciona la innovación. Las soluciones provienen de las personas habilitadas. Delegue la toma de decisiones como sea posible para aumentar la innovación. No se puede legislar la innovación. No funciona con sólo decir a la gente “vayan a innovar” – su modelo de negocio tiene que apoyarla. No se trata sólo de ideas. Es el proceso de gestión de ideas. La innovación es la mejor manera de cerrar la brecha entre donde estás y en donde quieres estar. El difundir una gran idea es tan importante como tenerla y hacer que funcione. Si cada idea que intentas funciona, no estas tratando suficientes nuevas ideas. Hacer un montón de pequeñas apuestas. La gente es mucho más importante que las herramientas. Las innovaciones pueden ser buenas o malas – asegúrese de que está creando valor real. 10. Es necesario un conocimiento profundo del problema que estamos tratando de resolver. 11. Haz nuevas preguntas. Comete nuevos errores. Aprende. 12. Un problema con necesidad de una solución vale la pena mucho más que una solución en busca de un problema. 14. La conexión de las ideas es el acto creativo fundamental en la innovación. 15. Es necesario el compromiso de arriba hacia abajo para crear una cultura de la innovación. 16. Si usted no tiene el apoyo de su gerente, es necesario innovar a hurtadillas – ¿cuánto tiempo puede salirse con la suya? 17. La eficiencia es a menudo el enemigo de la innovación ¡Necesitas tener holgura! 18. Fallar es bueno – pero trata de fallar lo mas poco posible, y asegúrate de que aprender de la falla. 19. La innovación debe apoyar la estrategia, pero de vez en cuando puede crearla. 20. La innovación es más eficaz cuando tú persigues una cartera de proyectos innovadores. La innovación no es una caja negra. Si aplicas alguna de estas ideas, puedes hacer que tu organización sea más eficaz al memento de innovar. Work station or group stations should provide a level of comfort to allow employees maximum performance on their task. Team works requires certain level of proximity to allow collaboration and support intergroup communication. Common space such a work table to share equipment promotes communication as collaboration. It is important groups have access to group meeting where important work is complete. Displays areas are important to show prototypes or work in process products helps other understand task team is involved. The way employees flow on their facilities should promote informal communication on informal places, such as rest areas or restroom areas. Steve Jobs created a full equipped lab to Jonathan Ives’s creations, the “Ive’s Studio” described by Issacson (2010) on Steve Jobs Biography was a very reserved place, where few had access, describe work stations for designers and steel tables as display areas for work in progress designs. Jobs took very seriously team spaces and layout to promote innovation. Steve Jobs influenced Pixar studio in order to promote collaboration, convinced on Ive’s Studio success provide open spaces around the work stations so that collaboration occurred even on the way to restrooms, again Issacson (2010) describes Pixar new studio on detail on Jobs Biography. Initially Building 20 hosted MIT Radiation Laboratory, following by Research Laboratory of Electronics and finally Laboratory for Nuclear Science, This place was claim as the most important research center that nurtured creativity and innovation “Magical Incubator” because its unique informal design allowed informal (random and unplanned) collaboration with a wide range of different groups doing totally different stuff. 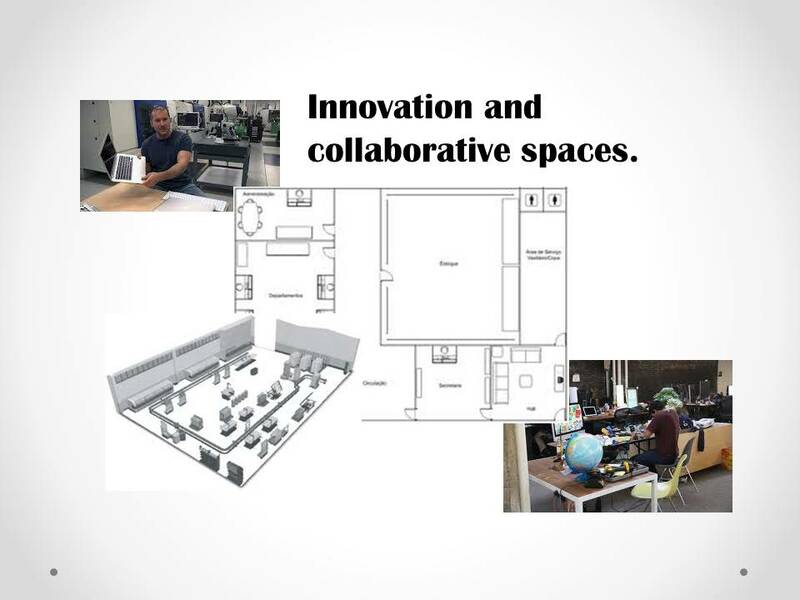 As conclusion good ideas can be goldsmith by informal collaboration, when spaces host those scientists and engineers provide work stations that provides comfort, tools and environment for collaboration good thing may occur most of the time unpredictable. Do you feel your work environment foster creativity and innovation? Do you feel comfortable at your work station? Let us know your experiences they are important for us. 4) Wineman Jean, Serrato Margaret “Facility Design for High Performance Teams” Jossey-Bass 1999 USA. 5) Issacson, Walter “Steve Jobs” Simon & Schunters USA 2010. 6) Lehrer, Johan “Group Think” http://www.newyorker.com/reporting/2012/01/30/120130fa_fact_lehrer?currentPage=1 The New Yorker 2012. Recovered October 2012. What is coming on phones innovation? How phones will look like on one hundred years? It is difficult to know but this is part of the gradual development of ideas that shapes products either by incremental innovation or disruptive innovation ways. Increasing the degree of ideality concept, phone design speaking started with the complexity of connecting others, the phones turned from old manual switch boards to modern connection servers that interconnect others flawless no matter where you are, must of the time. 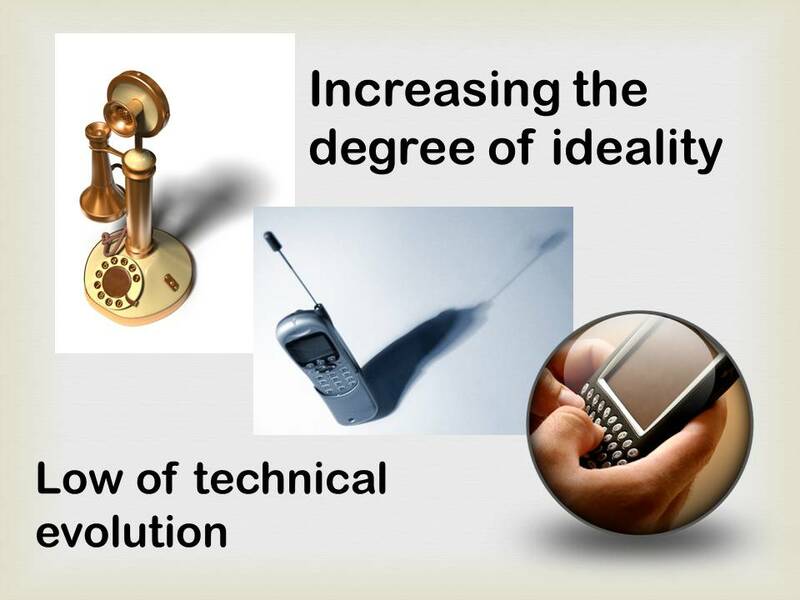 Other degree of ideality may be the dialing, it passed from the endless time to dial a number to the actual digital dials or voice recognition, and finally but not last the most dramatic change on phones was mobility turning the phones from fixed home phones to mobile phones, well known as cell phones, this is the flavor of how degree of ideality works. Phones design is still shaped by Altshuller low of technical evolution, the sin qua none of phone design is the life of technical system, where endless design cycles are defined by introduction of features that cycles the design until a new one comes up, and actual example is the rapid market penetration of smart phone on the market once that Blackberry step into with this innovation, and recently Apple and Samsung dispute the supremacy. Where the phone design ends up? Short term there is an ambitious concept called Google Glass that trays to pack the entire smart phone capabilities into glasses either for sun protection or prescription, it may take few years to figure out if technology is ready for this kind of miniaturization. Finally but not last new Total Recall movie gives us a glimpse of future phone designs, where Collin Farrell and Kate Beckinsale unveils phones under our hand skin, when we would have such phones? We should ask Ray Kurzweil, but the movie gives an idea, where we see no Lincoln, Washington or Franklin on the future currency but Obama, meaning potentially 200 years from now where the movie takes place on the future. Are you aware of another glimpse of future innovation on phone designs? Where you aware of increasing ideality and law of technical evolution concepts? Let us know, your opinion is always welcome. Panetta, Kasey “Is Google Glass too ambitious?” http://www.ecnmag.com/articles/2012/05/google-glass-too-ambitious?et_cid=2677765&et_rid=45566053&linkid=http%3a%2f%2fwww.ecnmag.com%2farticles%2f2012%2f05%2fgoogle-glass-too-ambitious USA May 2012. Recuperado June 2012. ECN, “Smartphones see accelerated rise to dominance” http://www.ecnmag.com/news/2012/08/smartphones-see-accelerated-rise-dominance?et_cid=2825296&et_rid=45566053&linkid=http%3a%2f%2fwww.ecnmag.com%2fnews%2f2012%2f08%2fsmartphones-see-accelerated-rise-dominance USA August 30th 2012. Recovered September 3rd. Altshuller Genrich, The Innovation Algorithm. TRIZ systemic innovation and technical creativity. Technical Innovation Center, Inc USA 2005. When an idea comes and becomes a tangible object, technology or service it has to be useful to somebody else to complete the cycle of an innovative idea, innovation stands for something new that has a value to others, well we need to help others to use our ideas then the Long Nose of Innovation (Bill Buxton) is completed and then is when an idea becomes an innovation. 1) Stable. Application is a proved solution and is a repeatable process. 2) Flexible. Application can be easily modified to embrace similar products. 3) Error Proof. Station ensure the process is completed before leaves the station using simple error proof strategies. 4) Cycle time effective. Application has short cycle time, or its low cost allows meet cycle time with multiple cells. 5) Low cost. Application is a low cost if comperes with full automatic applications. At the end the innovator has to look for ways to advertise his idea and make sure is adopted as a stable and flexible solution at a very competitive cost, so that we innovate helping others to innovate then our ideas become a commercial or business success. Do you have an experience like this? Please let us know your success histories, they are always welcome. Buxton, Bill. “The Long Nose of Innovation” http://www.businessweek.com/stories/2008-01-02/the-long-nose-of-innovationbusinessweek-business-news-stock-market-and-financial-advice January 2008 USA, recovered August 2012. Marin, Mario. “Five Star Challenge” November 2008. Delphi Automotive Systems. USA. 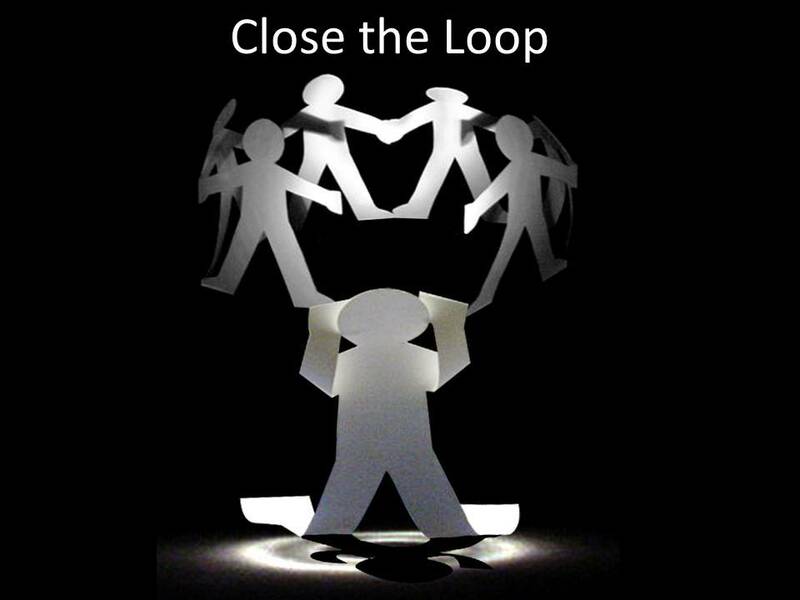 Our ability to close the loop can make a difference between a trusted employee and employee who is not trusted, because sometime those tasks can be critical for those who identify them, due to normally those who work every day in the same area can develop “workplace blindness” and only be perceived by out siders, being safety issues the most critical. They are highly accountable; nobody doubts they will full fit their commitments. They are selected to complete critical task; nobody doubts they will be successful on complete them. They are very often recognized by their achievements. They always close their circles effectively, meaning they are not open again by asking feedback on their actions to close them. They are not accountable, meaning that we doubt on select them to complete a task, because we are afraid task won’t be completed. Generally they are not object of recognition. They never make sure their actions were effective, normally they never come back because they are afraid become accountable by their actions. The bottom line here is that we need to ensure we full fit our commitments, close the loop, because failing on doing so can drive on consequences on the perception of others to our performance. Failing on close the loop at home by no paying services, credits or taxes on time can drive on penalties losing money and trust. Failing on close the loop on our jobs may drive us to head the employee black list or those who are on development programs, ending on being let go to persuit other oportunities some place else. How good are you to close the loop? Do you identify at your job people is good at close the loop and those who don’t? Let us know your opinion, it is important to us. Marin, Mario “Cierra el Circulo” http://innovando.net/cierra-el-circulo/?preview=true&preview_id=266&preview_nonce=1588707199 February 2012 Mexico. Recovered August 2012. Bolander, Jarie “6 Steps to Closing The Loop” http://innovando.net/wp-admin/post.php?post=266&action=edit#wpseo_linkdex February 2010 USA. Recovered August 2012. 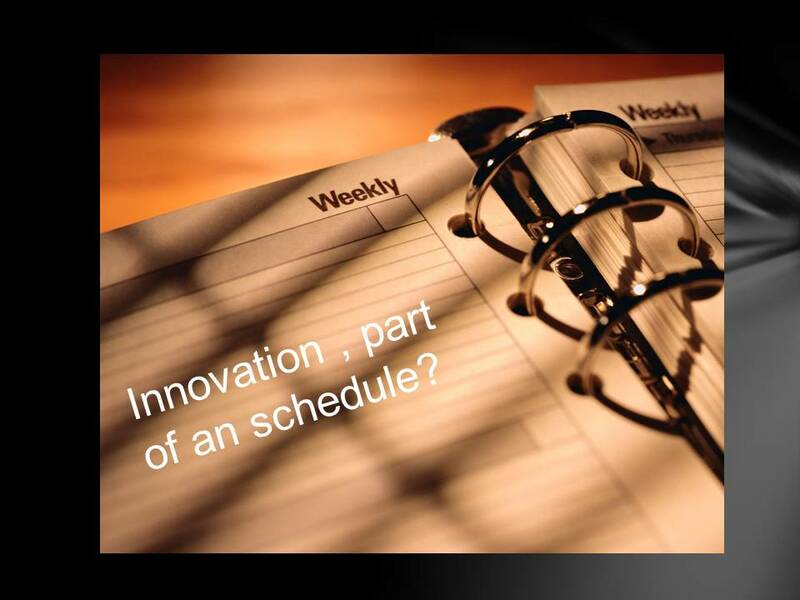 Innovation, is part of a Schedule? There is a bunch of information about how keep innovation effort alive on the organizations, recent article from Robert Brands “Can Innovation Be a Structured Repeatable Process?” calls for a “Ideation” that urges enterprise or business leaders to schedule ideas generation sessions year after years so that it become a recurrent ideas generations. When we face problems in Automotive sector the customer demands immediate actions, it used to be within 24 Hrs. range, however after Toyota’s events with brakes that turned on customers deaths, problems with imminent impact to the customer demands immediate response, within same shift problems is acknowledge, and if you wondered, yes normally this happens Friday 4:00 PM, the engineer’s curse. The solution of the problems for sure follows a structured process, specific issues on the industry that involves variables can be solved by six sigma methodologies that are applied by green belts or black belts, sometimes problems are so complex that requires solutions based on design of Experiments (DOE), they may be another technologies such Shainin that are more related with parts and the characterization of bad vs. good parts with the idea to identify differences may drive to the problems. As conclusion there is nothing wrong with a scheduled “Ideation” in order to keep the flame of inspiration within the enterprise, however the need to create ideas and innovative solutions to daily problems has no schedules and engineers had better have an inspiration back up can be used Friday’s afternoon if engineer is willing to go home early for supper. Have you experienced the engineer’s curse? Let us know your histories they are always welcome! Brands, Robert “Can Innovation Be a Structured Repeatable Process?” http://www.innovationexcellence.com/blog/2012/08/15/can-innovation-be-a-structured-repeatable-process/ August, 2012 USA. Recovered August 2012. 1) Innovators must focus on knowledge to create valuable ideas. 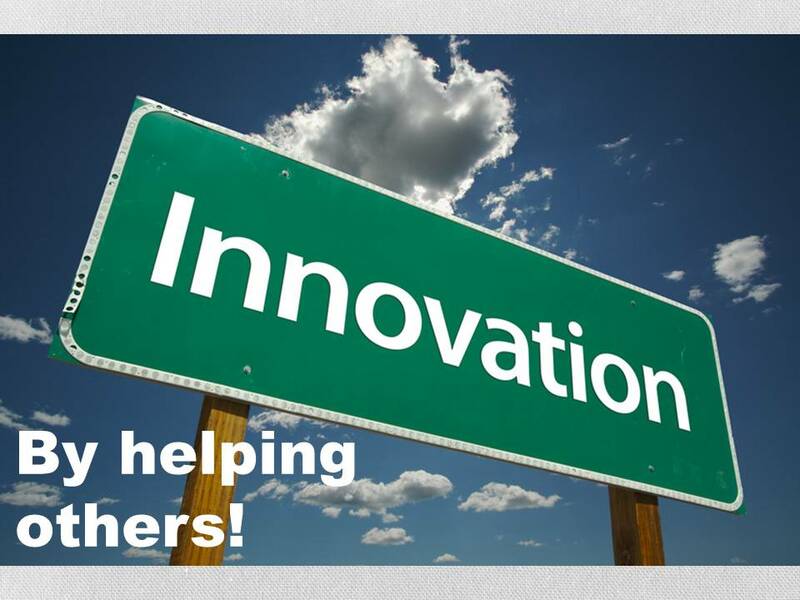 2) Innovators must be strategic thinkers to take the idea to customers. 3) Innovators must focus on execution to make the idea to happen. 4) Innovators must be money makers to successfully achieve on the market. 6) Blue Hat, control of thinking. Taking advantage of the DeBono’s six hats, and wearing the red hat, what troubles me about the idea to embrace different personalities is that there is too much to swallow by a single person, even if we ignore that normally we hold a single personality, unless you are bi polar, if we take the example of Steve Jobs work, we can agreed that the ideas and the strategic thinking came from Jobs, however execution of ideas came from others, like Jonathan Ive, and the money maker at the end perhaps materialized on Tim Cook. My personal feeling is that an innovator undeniable role of create ideas and strategically wait for the correct moment to put them on the table is his predominant role, however the goldsmith of the ideas and the tracking of the market of such ideas not necessarily is 100% role of the innovator, however the enterprise most embrace all of them with no doubt. 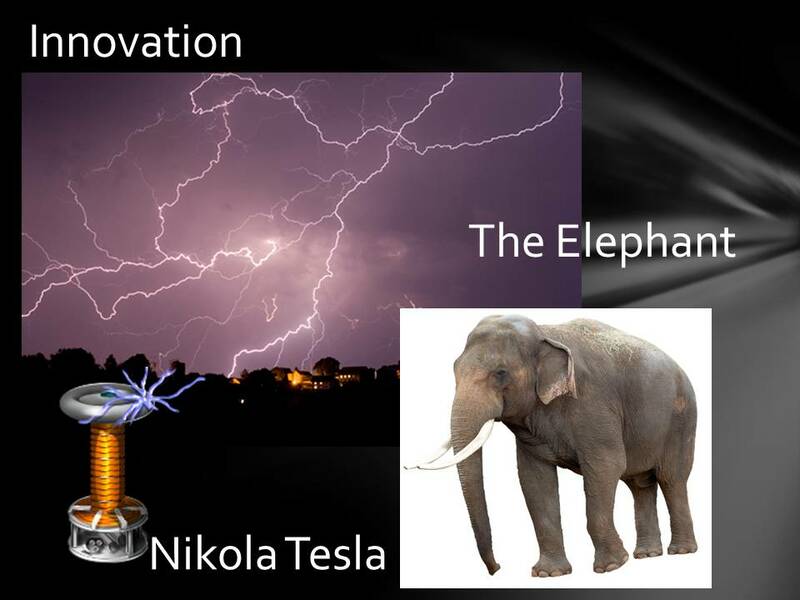 Finally Dr Shankar makes a remark: “Tesla’s great idea of connecting the world (wireless) got killed because his financier could not figure out how to make money out of it” what I believe really killed Nikola Tesla innovations was his spooky technology and the fact that Edison, his most gentleness opponent, used to electrocute elephants on public with Tesla’s AC power technology, that menaced DC’s Edison power, even nowadays Testla’s ideas to wireless energy still on development, Jim Schauesler, senior technical marketing manager for portable products from Palm incorporated presented on CES 2007 a prototype to wireless power by magnetic coupling to charge cell phones, and quoted “But we see this as a long adoption cycle, on the order of 5 to 10 years” Was Tesla’s issue an financer flaw or just Tesla’s ideas were ahead of time? My conclusion, innovators cannot swallow all! Barely can chew our own thoughts and put them together to change the world! 1) Venugopal Shankar “Four Faces of an Innovator” http://www.innovationexcellence.com/blog/2012/08/05/four-faces-of-an-innovator/ USA August 2012. Recovered August 2012. 2) Issacson, Walter “Steve Jobs” Simon & Schunters USA 2010. 3) Merritt, Rick “Cellphones warm up to magnetic coupling” http://www.eetimes.com/design/analog-design/4006352/Cellphones-warm-up-to-magnetic-coupling June 2009, recovered August 2012. We need to think out of the box! use to say my best mentor ever, when we were facing complex problems on the manufacturing of automotive micro electronics and we needed non-Orthodox solutions, but what exactly means Think out of the Box? Few years ago I found my answer on an unexpected item, in a drawing my daughter draw in her painting classes when she was a child. On her crayon drawing she drew a fish tank or a fishbowl, but what about that? What is so special about it and what it has to do with thinking out of the box? If we take a closer look we will see that this fish tank has two storeys and she provided to the fishes a door between storeys! I never considered a fish tank with storeys neither fishes may need doors to cross between them, so she thought totally out of the box! 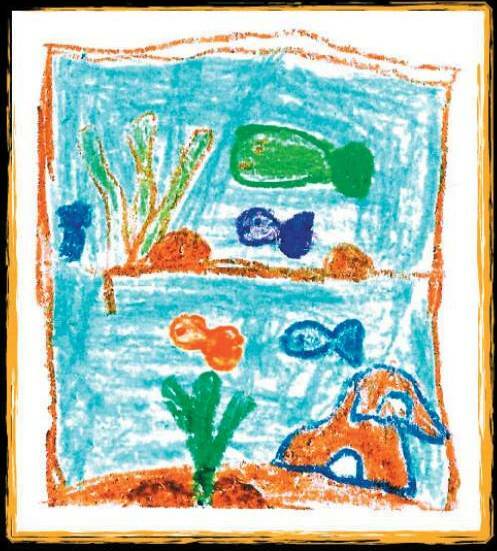 It is evident that a child has very few paradigms, to become aware that fishes do not need doors and that there are not storeys on the ocean, rivers or lagoons, but she did not care and she let her creativity loose while painting this interesting fish tank, that by the way is one of my treasures that I keep from my daughter childhood and I have the proud to share it to you on this blog entry. Think out of the box is left behind our paradigms, Edward DeBono (1970) propose provocations to put aside our paradigms, associating or connecting random words with ideas may help us to find creative solutions to problems we are facing, and these ideas may lead to unexpected results. These provocations are very well described on DeBono’s Lateral Thinking Book, he indicates that people use to think vertical, meaning building up ideas within their paradigms, then provocations lead us to think lateral, thinking lateral allow us to have fish tanks with storeys and doors to help fishes to transit between them just like my daughter did. DeBono said that thinking out of the box lead us to generate unusual ideas that changes concepts, perceptions and rules resulting in fresh creativity. At the end the concept of thinking out of box must be part of or language on the creative and innovation enterprise path in order to take apart our paradigms in the generation of new ideas that could lead to creative and innovative solutions to our problems, so then I invite you to Think out of the Box! Have you thought out of the box recently? Do you feel free to think out of the box at work? Please share your experiences, your feedback in important. De Bono Edward “On Creativity Thinking” http://www.youtube.com/watch?v=UjSjZOjNIJg December 2006.